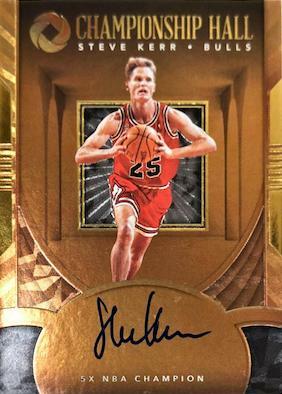 If you are in search of even more high-end '17-18 NBA cards, 2017-18 Panini Opulence Basketball debuts as a luxury release that includes seven autographs or relics per box. While the 10-card boxes obviously include three additional cards that aren't hits, those buying Opulence are likely much more interested in the premium inserts. 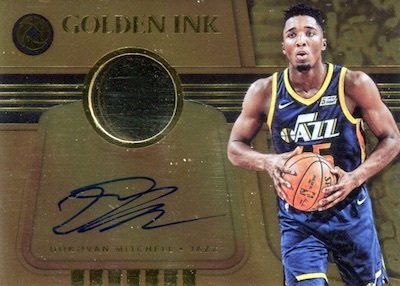 Looking a bit like Gold Standard 2.0, 2017-18 Panini Opulence Basketball includes hard-signed Rookie Autographs and Rookie Patch Autographs, each numbered to 79. Pairing an on-card autograph and swatch, Golden Autographed Memorabilia goes vertical while Precious Swatch Signatures flips to a horizontal design. There are also the Championship Hall Signatures for Hall of Fame members and Gold Medal Autographs featuring Olympic stars with 14-karat gold discs. More choices include Opulent Autographs and Gold Records Signatures. 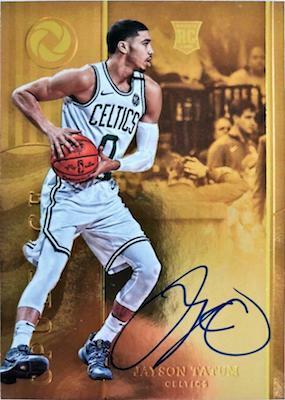 Seemingly getting away from the gold-heavy primary design, the 2017-18 Panini Opulence Basketball book cards pile on the quality elements. 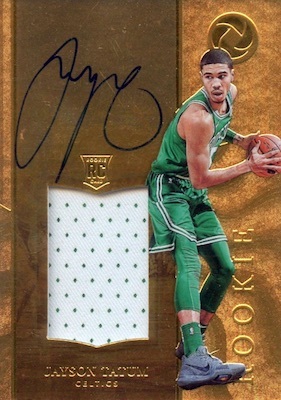 The Rookie Patch Autographs Booklet set contains a massive jersey piece for the top first-year players. Offering championship gear, NBA Finals Booklet showcases swatches from the jerseys worn in Game 2 of the 2017 NBA Finals between the Warriors and the Cavs, including the NBA Logoman for Kevin Durant. Putting eight young stars together, on-card Rookie Octo Booklet autographs have only 10 copies. 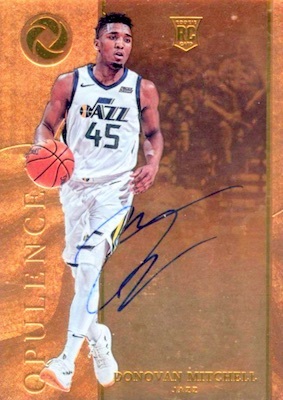 Shop 2017-18 Opulence NBA cards on eBay. 100 cards. Serial numbered #/79. PARALLEL CARDS: Silver #/25, Holo Gold #/10, Emerald #/5, Platinum 1/1. 24 cards. Serial numbered #/79. PARALLEL CARDS: Silver #/25, Holo Gold #/10, Platinum 1/1. PARALLEL CARDS: Silver #/25 (Kobe,Curry #/15*), Holo Gold #/10, Platinum 1/1. 16 cards. Serial numbered #/20. PARALLEL CARDS: Holo Gold #/10, Platinum 1/1. 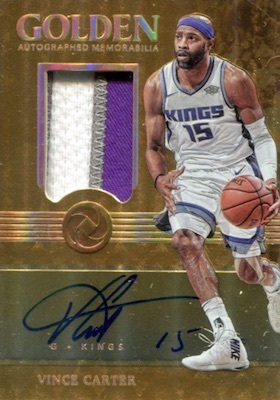 PARALLEL CARDS: Holo Gold #/10 (Avery Bradley #/5*), Platinum 1/1. 39 cards. Serial numbered #/20. 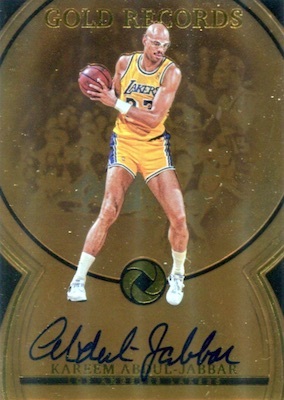 PARALLEL CARDS: Silver #/25 (Kobe #/15*), Holo Gold #/10, Platinum 1/1. PARALLEL CARDS: Silver #/25, Holo Gold #/10 (Lin #/4*), Platinum 1/1. 20 cards. Serial numbered #/25. 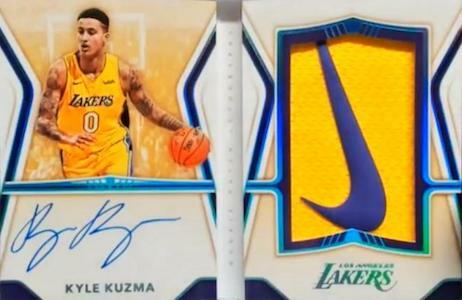 PARALLEL CARDS: Brand Logo #/5 (Kuzma #/4*). 1 card. Serial numbered #/10. 40 cards. Serial numbered #/20. 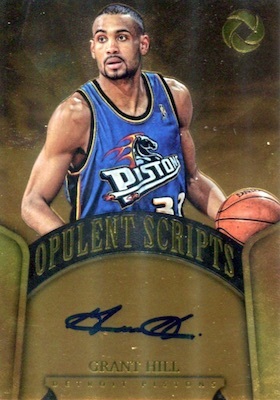 View the full 2017-18 Panini Opulence Basketball checklist spreadsheet. Here are the top deals on hobby boxes currently listed on eBay. 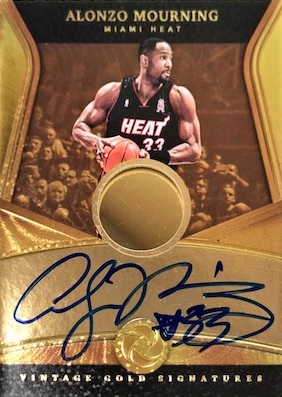 I hate how Panini only makes on card autos and game worn patches attainable in ultra high end, overpriced releases. 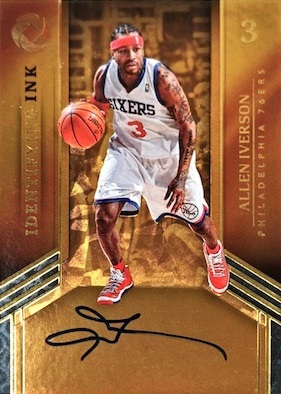 Another high end release that’s out of my comfort zone in what I am willing to pay for sports cards. Look the cards look great but this is a really late release date. Were already coming up on the 2018-19 season and the Hoops set will be in a month.